The Sonoma Wine Country ... for people who insist on the extraordinary! Greet the morning with a beautiful (and delicious) breakfast! GO-Sonoma Wine Country Lodging is a “by invitation only” collection of Sonoma County’s best and most sought out boutique hotels, remarkable bed and breakfasts, and distinctive wine country cottages. 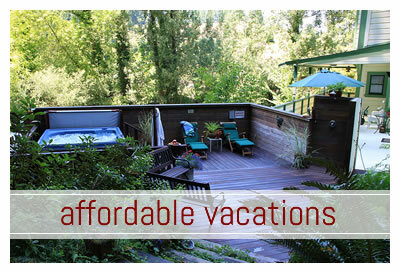 And … we have recently added an exquisite selection of Sonoma Valley Vacation Rentals. You won’t want to miss this experience. 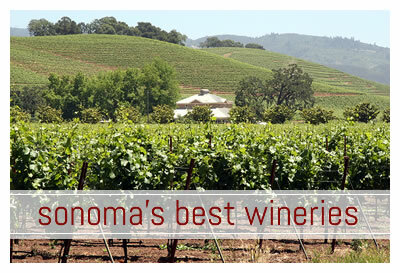 GO-Sonoma is for travelers who insist on the extraordinary. Each unique Sonoma Wine Country Inns lodging property puts its own stamp on “the guest experience.” Environmentally conscious by choice … offering superior concierge services … impeccably imaginative accommodations and, in most cases, a complimentary morning meal. The intriguing synergy of these hand-picked iconic properties becomes clear as you preview their Sonoma Wine Country specials, packages and best lodging rates on the GO-Sonoma.com website. You can also check availability for each of the Sonoma Wine Country Inns. Sonoma County’s best Boutique Hotels, Bed & Breakfasts, Cottages, and Vacation Rentals – set within the diverse Sonoma Wine Country – offer romantic getaways, the ultimate in wine touring, accommodations for business travelers, a venue for meetings, reunions, weddings and elopements. Free Wine Tasting and other perks from select Sonoma County Wineries: As a guest at any of our member Sonoma Wine Country Inns, you are will receive a complimentary winery passport and are assured an exemplary Sonoma County Wine Country experience! Relax in a forest and garden paradise. Cook your own meals in a commercial kitchen. Sit by the creek with those you love. Warm yourself by the family room wood fireplace. Go wine tasting. Sit in the hot tub. It’s all included! Up to 8 guests in 4 beds & 4.5 bathrooms for one affordable price! Inn at Occidental is nestled amongst majestic redwoods, this luxurious B&B is centrally located in the charming village of Occidental, California. During your stay, visit the spectacular vineyards and orchards of Sonoma wine country, the stunning beaches and cliffs of the Sonoma Coast and the meandering Russian River. Inn owners, Jerry & Tina Wolsborn, are well-versed in the best ways to spend time in the Sonoma Wine Country. They thoughtfully guide their guests to the most enriching Sonoma Wine Country experiences imaginable. Pet-friendly? You bet! This Sonoma County bed and breakfast featureds four dog-friendly guestrooms! A bonus is that Inn at Occidental offers a EV Station for their guests with Teslas and other electric cars. See full list of Sonoma Wine Country Lodging Specials & Packages.